4. Sin of I and Sin of Mine. 9. True application of this concept. 1. Veda – As the origin of this concept is from an Upanishad, we need to 1st understand Vedas and Upanishads to understand the basic foundation of this concept. Most popularly known fact is that there are 4 Vedas and these are Rig Veda, Saam Veda, Yajur Veda, Atharva Veda. But in my considered opinion, it will be injustice to Vedas itself if we limit Vedas to these 4 books. “Veda” literally means Knowledge and from Veda came the word “Vidwan” which means knowledgeable person. So, if we say that Veda means these 4 books, then it might be right up to the time of writing of these 4 books. I mean to say that all the knowledge available till that time when these books were written, was made available in these books. These 4 books were actually the Encyclopedia of that time. They had every information of that era available within them and you just need to search the relevant information for you. That’s why, I feel they were called Vedas as they had all the knowledge of that era. But thankfully, knowledge is growing at all times. Knowledge didn’t limit itself to these 4 books as times progressed. So, for me, Veda is a word which includes all the knowledge of the world. It doesn’t matter whether it is part of those 4 books or not. Any source from where I can get knowledge is Veda for me. Any book written after those 4 books, in any religion or community, which has some new knowledge/information is Veda for me. Of course, Publishers of Religious Books from Different Religions and the Hardliners won’t accept what I am saying but I will always be receivable to the vastness of knowledge and won’t restrict myself. It doesn’t matter from where this knowledge is coming. At the same time, 4 ancient Vedas remain equally important for me. 2. Upanishad – As there are 4 Ancient Vedas, there are 108 Upanishads. The Upanishads are considered by Hindus to contain utterances concerning the nature of ultimate reality and describing the character of and path to human salvation. The Upanishads are commonly referred to as Vedanta, variously interpreted to mean either the "last chapters, parts of the Veda" or "the object, the highest purpose of the Veda". The concepts of Ultimate Reality and Soul are central ideas in all the Upanishads and "Know your Soul" their thematic focus. So, we can say that Upanishads guide our path to reach the goals set-out by Vedas. Upanishads show us the ways by which we can achieve the ultimate goal of Self-Realization set by Vedas. And one of these ways is by understanding the concept of Sin of I and Sin of Mine as given in Isha or Isavasya Upanishad. So, with this background, we finally reached to the topic of the day, i.e. Sin of I and Sin of Mine. 3. Sin – Different Religions of the World have given different number of Sins for mankind to stay away from. Numbers of Sins given in different Religions vary but Hinduism has nailed it down to Two. As per Hinduism, there are only two sins and these are Sin of I and Sin of Mine. Quite clearly, strike of Hinduism is on Ego/I Consciousness. 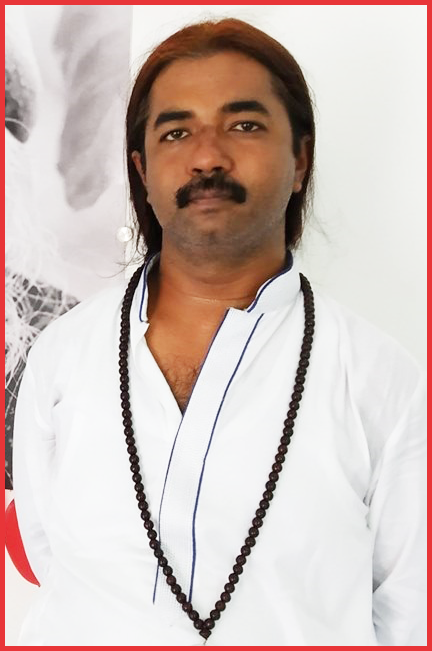 If we see analytically then every Religion preaches against the Ego and against being Proud over something but Hinduism has managed to nail it down completely by limiting Sins to these two Sins only as it knew that if person can stop himself from committing these two Sins, other Sins will automatcally be eliminated as every sin is done to satisfy the ego. Now, let’s understand what these two sins are? 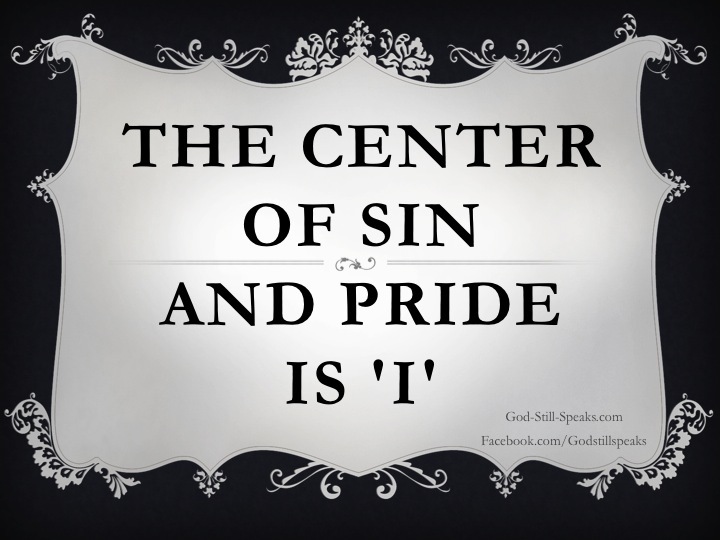 Sin of I – This means that whenever I feel that I am separate from existence and I am doing/have done/will do anything in my life on my own, I do commit the Sin of I at the very moment. Basic concept is that I am not doing anything. Everything in Universe happens and everyone just plays his role in this grand play. I can’t do anything if Universe doesn’t want me to do. This also leads me to be assure of the fact that there is no free will as I discussed in an earlier article (http://astrosaxena.com/ffwse). So, 1st Sin as per Hinduism is feeling that I am separate from existence and I am incharge of my actions. This is Sin of I. Sin of Mine – This means that whenever I attach myself with anything or any person as my own, then I commit the 2nd Sin, i.e. Sin of Mine. Concept behind this is that nothing and none is mine in this World. Everything and everyone in my life is for a time limit and that time limit can expire any moment. I, myself can be called back at any given moment and If I am not there then how mine will be there? One thing to remember here is that Sin of I & Sin of Mine don’t apply only by communicating to each other. Human Languages are poor and hence we have to use I and Mine repeatedly through the day. This concept applies only when I get attached to myself as separate being or more appropriately “The Doer” or I get attached to things or people around me as if they are mine or I own them. 5. How I/Ego develop? – Now, let’s see how I develop within us through time? A Child takes birth, completely innocent and blank. Then social feeding starts. This is your Family, your Religion, your Community, your Caste, your Language, your Country etc. You should be proud of these things and be ready to do any Sacrifice for these things. Society gives him a false identity. But then the main reason takes place. Whatever child does in School/College, Sports, Competition, we start appreciating him “beyond limits” and when a small child gets all these accolades, ego starts developing. He starts thinking that I am something special. Here, I am not saying to criticize child every day. This is the biggest problem with this world. People go from this extreme to that extreme. So, what I am saying is to strike a balance between two. Tell the child that due to joint effect of God’s Grace and his efforts, he could achieve it. Tell him that God’s Grace is most important and only after that anything can be achieved. I understand that it will invite some difficult questions from Child but countering those queries in his childhood is better than giving him false ego. So, this is the way by which Society generally makes us Egoistic person. 6. Socially acceptable Egos – Now, as Ego was a negative concept, quite cleverly, Societies throughout world has created new words to sustain the same Ego. These words are Pride, Respect or Self-Respect, Reputation, Image, Status etc. If we closely look inside, we will find same Ego sitting underneath. Many won’t agree here but I have only one example to explain this concept that when Buddha was spat over by a Man, Buddha cleaned his face and asked what next? So, can we say that Buddha didn’t have self-respect or should we say that he didn’t have the Ego? Ego is actually in anything which makes your backbone little more erect. The moment you here the name of a thing and your backbone becomes erect and your neck is little higher, that thing is part of your ego. But best thing with Ego is that it can’t stay with you once you recognize it. So, whole effort is about recognizing your ego. Once you recognize Ego, it will drop on its own. My Home, my Property, my Job, my Salary, my Bonus, my Promotion, my Rank etc. My Family, my Children, my Wife/Husband. My Religion, My Caste, My Language, My Surname, My Community. My Leader, My Party, My Government. My City, My State, My Country (Countries are nothing but lines drawn by politicians to rule over their respective territories which satisfy their Ego. It is not that Land ceases to exist after India’s border but we are conditioned in a way that only this much is our land by people in power and we should be ready to even die for this, whereas I would accept vastness of Universe as my home). So, these are only few examples where our ego can reside but there are other very minute places where Ego can be present. Normally, Ego is in the most polite sentences. Like, if someone says that I am nothing in front of you. It looks very polite but basically person wants you to say same thing for him, so that he can feel great about himself. Now, if you just reply that it is true, you are absolutely nothing in front of me, then see ego coming up. When we say that due to me you have to suffer such things. It again looks very polite but actually it is like saying that I am running this world and due to me you are suffering because if everything happens because of God then what is the question of anyone suffering because of anyone else? This is how Ego hides behind politeness. 8. I without Mine – To further explain this, there is a small story of Sufi Fakir who was invited by a King to come to Palace and give King some Spiritual Knowledge. Fakir refused to come unless the Chariot is being sent to take him. King sent the Chariot but when Fakir reaches the Palace, he taunts at him of being materialistic and with desire of Chariot. And Fakir gives him Spiritual Learning on Ego then and there by asking where the Chariot is? He removed the Horses and asked if they are Chariot? He removed the Wheels and asked if those wheels are Chariot? Like this, he removed all the things one after the other which formed the Chariot and in the end there was nothing to be called as Chariot. Chariot is just the result of collection of all the things together. Likewise, Ego/I consciousness is the end result of collection of all the possessions of life as Mine. If there is nothing as Mine, I/Ego’s head would never stand there. Again, actually speaking, there is nothing/none which/whom we can refer as Mine as everything and everyone is in our life for some time and that time can be over anytime. Actually, if we just look within what is I inside me or if I ask myself that what is Vishal S Saxena? Then only answer which I should get is that it was only a name/word given for communication purpose. Nothing more than that. If I get any other answer then my Ego lies in that answer, my mine is there. A word, which was only for communication, got boosted by myself, Society & Conditioning so much that it has taken a shape of Ego Consciousness. 9. True application of this concept – Now, what does it mean? It means nothing is mine and in another words the whole Universe is mine. If I feel that I have a duty towards my Community and my Religion, then it is Sin of I. But if I feel that I have a duty towards Universe and whole Humanity, then it is not Sin of I. The basic concept behind Sin of I is to make a human being work towards whole vast universe and whole humanity rather than work towards the small groups which goes on becoming smaller. So, if we truly follow this concept of Hinduism then a Hindu will never be attached towards his own Religion/Community/Caste. Hinduism wants him to work towards whole Humanity and Universe. In case, he says that I have such and such duty towards my religion or I am here to guard and protect my religion? Then well, you have just committed a Sin as per Hinduism only as Hinduism wants you perform your duties towards people and humanity, irrespective of their religion. And this is where understanding and following Hinduism is so tough because its basic strike is on Ego. The very idea of serving and helping people who are not from the same religious background strikes the Ego of person and that is the biggest test of being a Hindu. To follow Hinduism, you need to accept all as one. There is nothing and none as mine or my, everything and everyone is God’s. Serve all to serve God. 10. Conclusion – I know it is really difficult to apply it 100% but we can start it any day. We can start it by recognizing on what things and people, we think to have ownership. Once we start recognizing the MINE in our life, feeling of ownership will automatically drop as we will also realize that all those things and people are in my life as per God’s grace and I should be thankful to God for giving me so much without even asking. Once this feeling of Mine starts getting dropped, I/Ego will have no place to stand. It will drop on its own. But this will also include that ego which is residing in most minute places, in polite statements and in showing ourselves as responsible. We need to recognize it at all possible places but as I said, moment you realize ego, it dies its own death. Delay is only in recognizing. Hope this is understandable and is helpful. Have an Egoless Life.